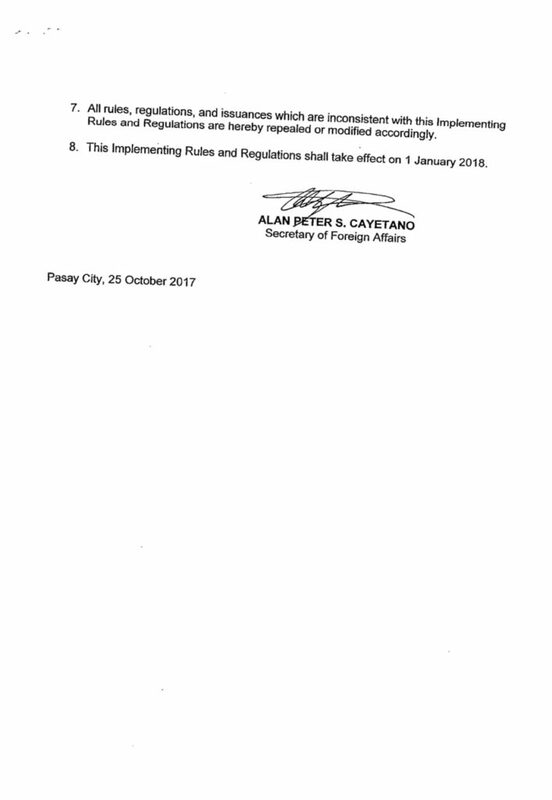 [Intended for Filipino Readers] Since lots of Overseas Filipino Workers (Pinoy OFW) in Riyadh are following this site, I am posting the latest information from the Philippine Department of Foreign Affairs (DFA Philippines) regarding the implementing rules for the 10 Year Passport Validity for Filipinos. DFA orders today, October 25, 2017, Department Order No. 010-2017 or the Implementing Rules and Regulations (IRR) of Republic Act No. 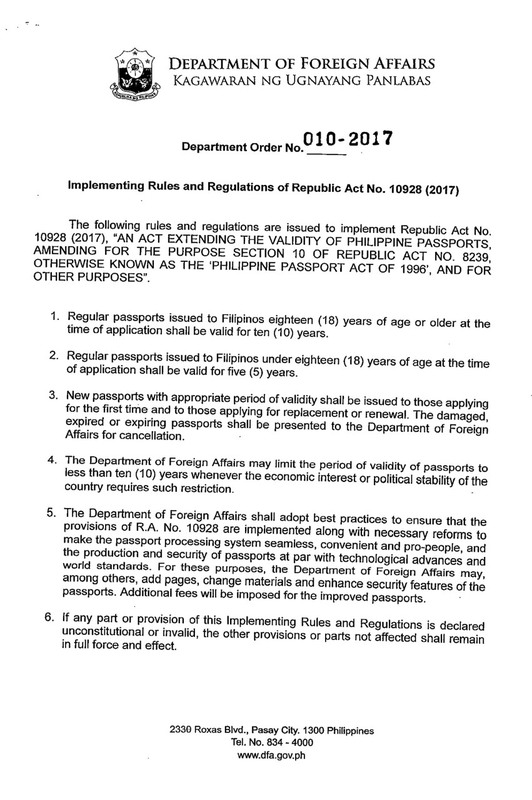 10928 (2017), otherwise known as “An Act Extending the Validity of Philippine Passports,” which was enacted on 02 August 2017. The 10-year passport will cost Php 950 which is the current price for the 5-year passport. This new rules will take an effect on 01 January 2018.